The numerals on Eve's hotel room in Chicago add up to 13. Coincidence? I think not. Or, maybe not-not. In Alfred Hitchcock's movies, even the slightest details can be illuminating. At the same time, a word of caution is in order when examining his or any others' films; even the most well-planned movies enjoy what are nothing more than happy coincidences. 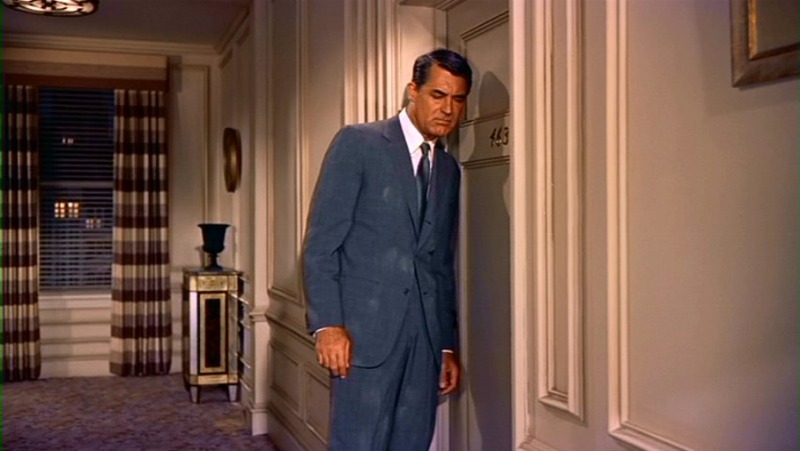 I just re-watched Alfred Hitchcock's North by Northwest the other night and couldn't help noticing a recurrence of the unlucky number thirteen. Eve Kendall's car number on the 20th Century Limited is 3901 – the digits of which add up to 13. Her room number in the Chicago hotel is 463, which adds up to 13. When Thornhill rides in a police car after being "rescued" from the art auction, they are followed by a bus whose serial number, on prominent display in the squad car's rear window, is 1183. You know the math. Curious, isn’t it? It probably means nothing. Or does it? I just post them as I see them. I'm going to have to watch it again now. No chore though as it's my favourite Hitchcock. Unless it's The 39 Steps, or perhaps Rear Window. It's a tough call especially as there isn't one I don't like apart from maybe Under Capricorn. Even that has it's moments though.